The Swachata Abhiyan initiative has taken a front seat these days in every political party’s agenda. Walking on the same line, Delhi Chief Minister Arvind Kejriwal had announced ‘Swachh Delhi Abhiyan’ from November 22 to 30. The government of Delhi took a smart technology step towards fulfiling this objective today by launching the Swach Delhi app. 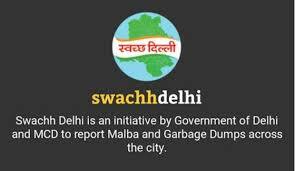 From today onwards, Delhiites can download ‘Swachh Delhi’ app that will enable them to notify the concerned Municipal Corporation with pics of garbage in their surroundings. Once the picture of the garbage is sent, the authorities will automatically get the exact location and the longitude of the place. So, with this app, it will be convenient for the local bodies (MCD and PWD) to track the location accurately and clean it. All the information sent via Swachch Delhi app will also go to the central control room that will store the information in a database. This cleanliness drive is a result of joint initiative of the central government, Delhi government and three Municipal corporations of the city. The mobile application can be download by giving a missed call on the number 7666400400. The user will get a message with the link to download the application.